Landmarc provide water and landscape solutions for clients nationwide. We’re able to cover any location required using our own transport from our base in the South West. Landmarc carry a range of specialist plant & equipment, with many bespoke attachments making our machines adaptable for any job necessary. 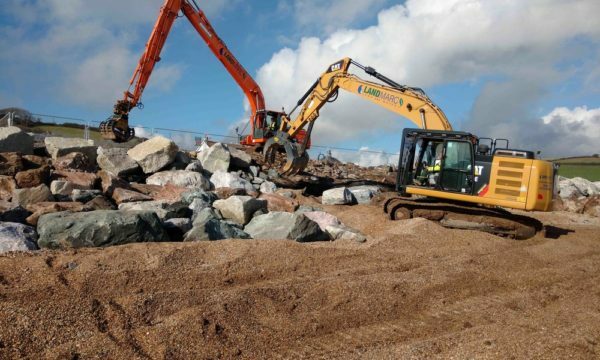 We provide conservation solutions, land management, coastal and civil engineering, forestry works and much more. Landmarc also carry out steel fabrication and structural steel works through our sister company – Dart Fabrication. With our capable team, fully qualified to a high standard, we have nearly 30 years experience in working on environmentally sensitive sites. We pride ourselves on providing our clients with a bespoke service from design through to completion. We are committed to ensuring we maintain individual attention whilst also being able to deliver on large and complex projects. 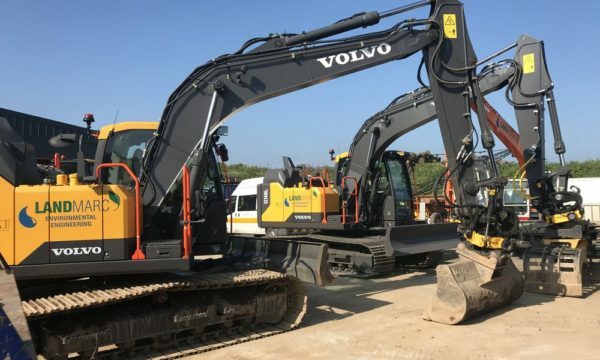 With a wide range of equipment, Landmarc have developed modifications to their plant to be prepared for whatever challenges arise, allowing all excavators, including our 25 tonne long reach, using tilt rotators to multitask with a selection of attachments such as tree grabs, rock grabs, tree shears, hydraulic winches, mulching heads, compaction plates and a bespoke material handling system for pool & lake liners. Logistics are covered through our in-house low loader allowing us to maintain minimum downtime of equipment and provide rapid response for plant movements, maximising efficiency and productivity for our clients. Being based in the South West, we have some of the most beautiful coastline in the UK. Unfortunately, that also means we experience some very destructive storms. Over the past decade, Landmarc has started to specialise in dealing with the impact of these violent storms, having to provide sea defences and erosion control systems in some very inaccessible, isolated areas of coast. This includes the maintenance and construction of sand dune systems. 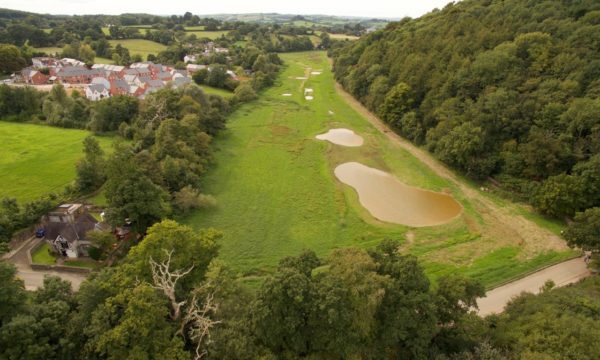 Flood defences and erosion control are now more important than ever with the adverse weather conditions that we now experience. Driven by this, Landmarc are investing time and money in the research and development of a marine erosion control system. An ever growing passion of our unique British landscape has involved us, and consequentially expanded our experience, in the different aspects of landscape construction, restoration and management. 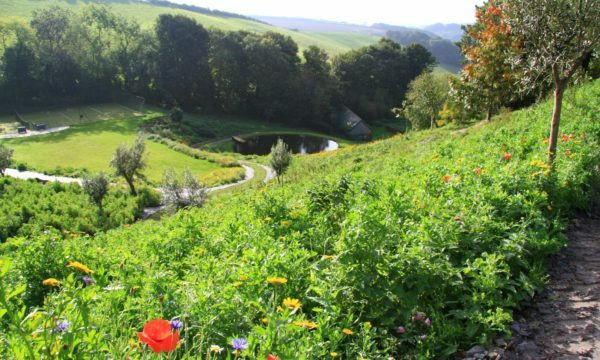 We regularly work within SSSIs, AONB and some of England’s historic landscapes. Working closely with our clients is important to us, making sure we provide solutions and the final result as desired, whilst enhancing and restoring the natural landscape. We also provide access solutions such as bridges, car parks, bridleways, cycle paths & footpaths. 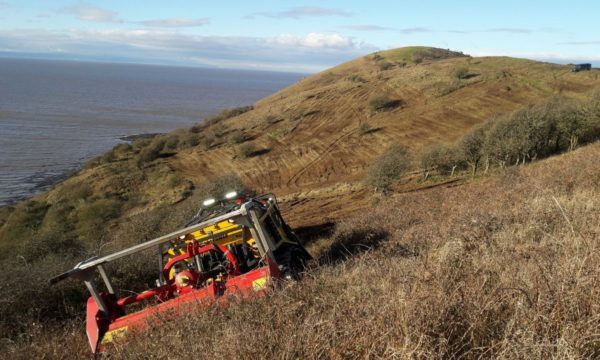 With the range of specialist machinery we carry, we are equipped to tackle some of the most demanding challenges, whether that is clearing vegetation from steep coastal slopes or tree and site clearance for development and conservation. Our unique remote control mulching unit recently added to our fleet ensures the job is done efficiently and minimises operator risk when working in restricted access sites or on steep gradients. Over the years we have developed experience in sensitively managing scrub clearance, enhancing and creating wildlife habitats. Environmental conservation is a subject very close to our hearts, and it is so very important to protect our natural world. Creation of natural habitats including wetland creation and heathland restoration are vital for the preservation of many species of wildlife. Developing a bespoke turf translocation system has assisted us, for more than a decade, to preserve flora and fauna on sensitive sites nationwide. Our waterscapes include a wide range of aspects from construction, restoration and enhancements of ponds, pools and lakes through to the creation of water features such as waterfalls, cascades, manmade streams and fountains. 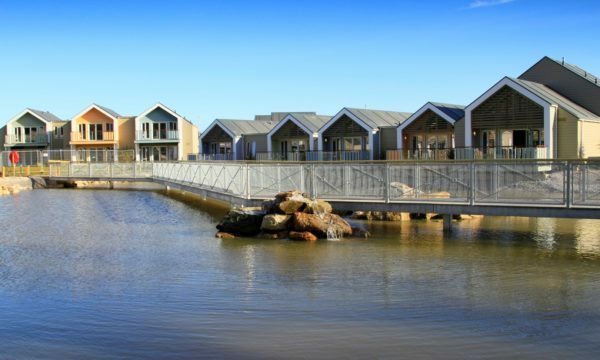 Our variety of clients have included private landowners through to designing and installing water features for the leisure industry, for example crazy golf courses, holiday parks and angling clubs. Waterscapes also need maintaining, and we are experienced in desilting, dredging and restorative works in historic landscapes, encouraging local wildlife.